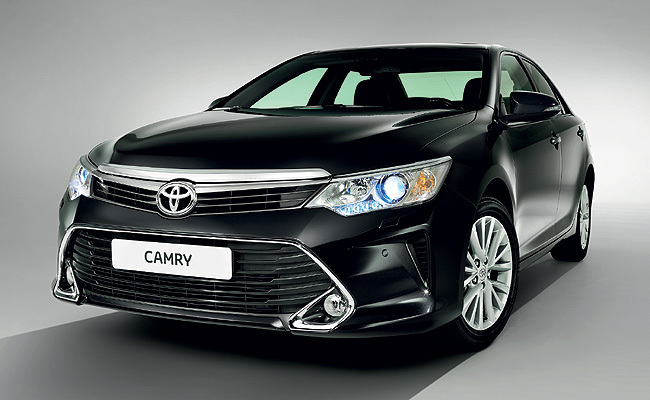 Toyota Europe has revealed the updated look of its Euro-market Camry, giving it a "more prestigious and dynamic exterior styling, and a significantly revised interior with a focus on high technology and improved sensory quality." 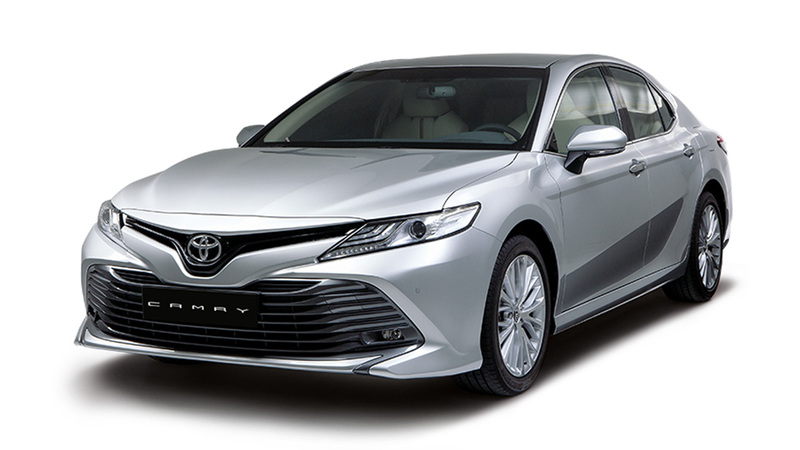 The updated Camry ditches its conservative styling for a bolder front fascia that's highlighted by an aggressive, chrome-lined lower grille complementing the slimmer upper grille. The headlight also has a chamfered edge, giving it a sporty look that's far removed from the pre-facelift version. 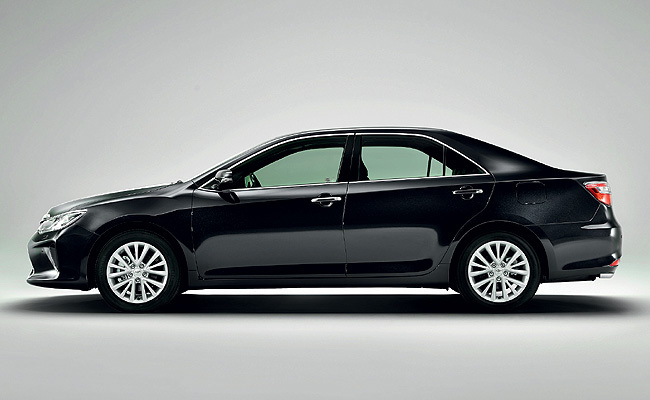 Out back, the changes are subtle, with slightly redesigned taillights and rear bumper. 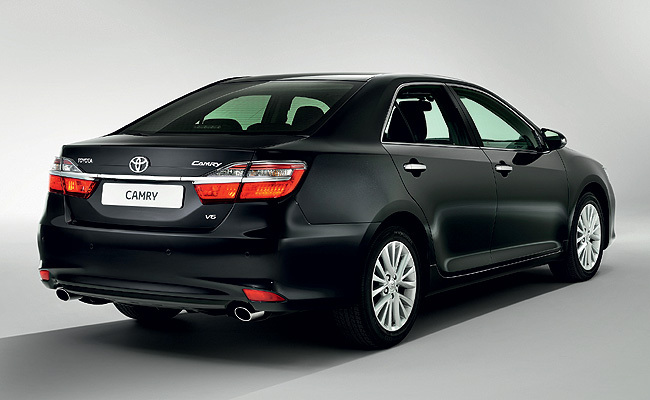 It's in the cabin where this updated European Camry has shown the most number of changes. These include a new wireless mobile-phone charging station and upgraded multimedia systems that incorporate upgraded screen resolution and expanded functionalities. 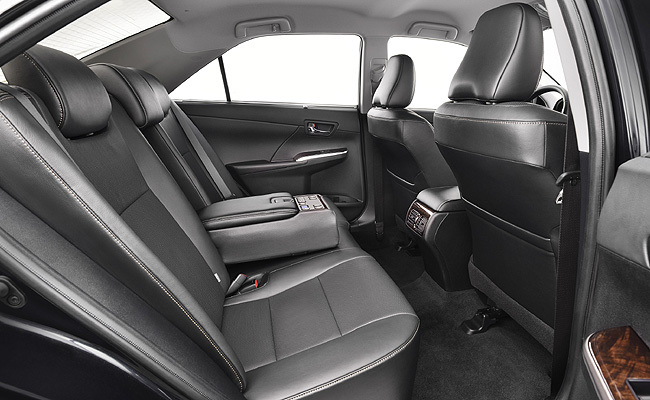 The use of additional sound damping and absorbing materials for the midsize sedan has made it "quieter still to create an even more comfortable, luxurious cabin environment." 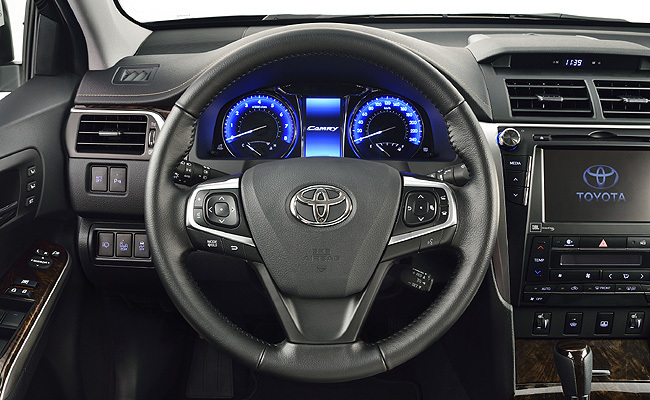 The Camry's driving dynamics have also been enhanced with the adoption of a new front differential, improving its standing-start acceleration and high-speed stability. In addition, both the suspension and the electric power steering system have supposedly been fine-tuned "for greater ride comfort and steering feel." 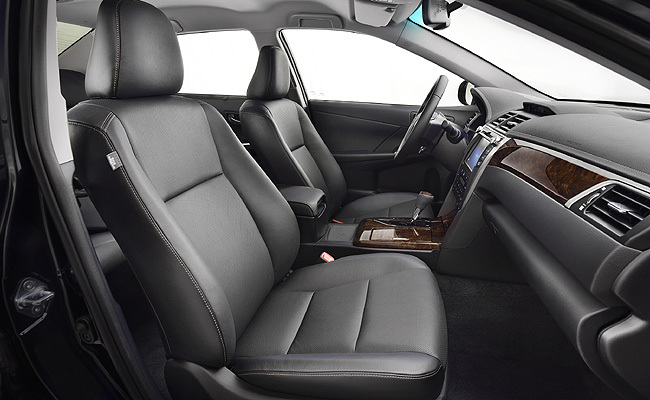 The midsize sedan also boasts an expanded range of active and passive safety features such as blind spot monitor, rear cross traffic alert, and auto high-beam technology. Unfortunately, changes to the drivetrain weren't mentioned, save for a new 2.0-liter gasoline engine that, together with the six-speed multi-mode automatic transmission, is reportedly 13% more fuel-efficient than the powerplant it is replacing.